The Castor wheel manufactured using stainless steel is meant to for loads of the smallest value. The stainless steel used in its manufacture is superior quality and is guaranteed to be resistant to rust. These are best for corrosive or wet conditions. 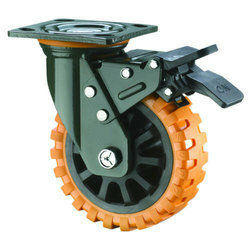 We are the leading manufacturers nad suppliers of the Castor Wheel. 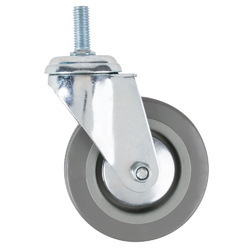 Being the leading names in industry we are into offering a quality approved a range of Heavy Duty Pressed Steel Casters. We manufacture these using the superior quality material in conformity with the industry laid standards. These are widely used with the thrust bearing and fine applications in various industries. Offered products are highly reckoned among our clients due to their fine performance and competitive prices. 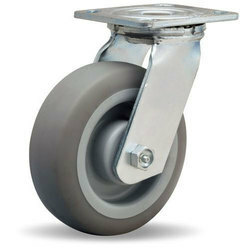 Caster wheels made of forged steel are meant for extra heavy loads. 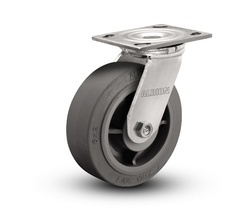 The Castors come with a Heavy Duty Ball Race Assembly which takes care of Radial, Axial & Thrust Loads. These are ideals for those loads those are very heavy for the floor protective wheels. The Wheels are solid and have high tensile strength. These have a very long service life and render very efficient service. 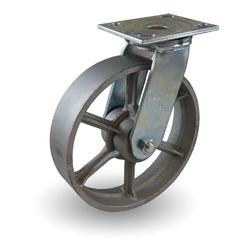 For the diverse requirements of our clients, we are involved in offering an extensive range of Forged Steel Casters. These are highly appreciated among our clients due to their high load carrying capacity and durable nature. These are widely used in abusive applications on the poorest floors and are available in various specifications as per the requirements of our clients. Additionally, these can be availed at industry leading prices. 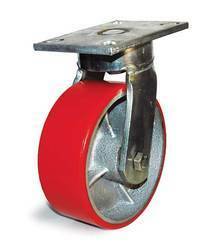 We have complete allegiance in manufacturing and supplying premium quality Industrial Caster Wheel. These wheels are widely used in industries for their attributes such as high load-bearing capacity and high strength. Our offered wheels are manufactured by using fine grade raw material with use of latest machine as per current market requirements. Our designers design these products in various specifications, in order to serve clients' diverse needs. 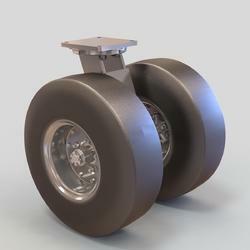 These are meant for Medium Duty loads - up to 200 kgs per Castor Wheel. The Wheels have Double Ball Bearing for smooth movement. These are made out of the best quality products and have therefore, won accolades from our customers. Looking for Caster Wheels ?